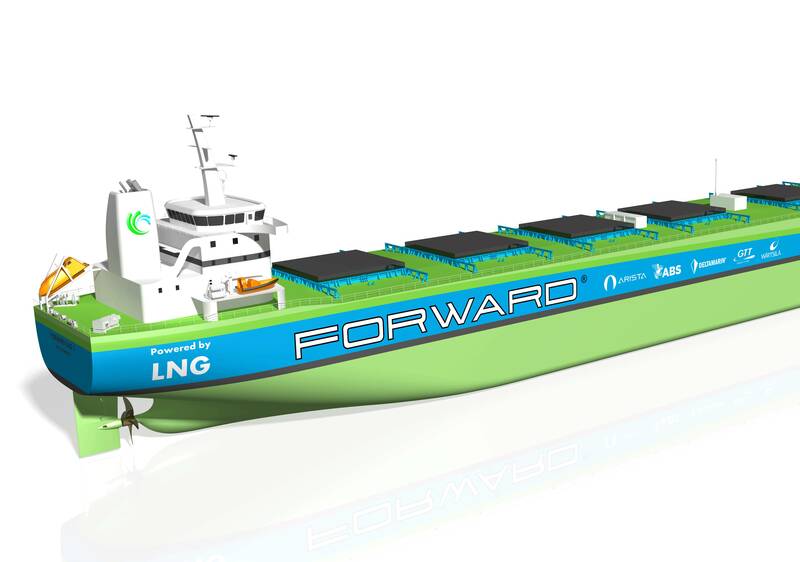 The Project Forward initiative, which is led by Athens-based Arista Shipping, has produced an energy efficient dry bulk carrier vessel that features liquefied natural gas (LNG) propulsion. Finnish clean-tech software engineering company Eniram, a Wärtsilä company, said it has signed a Memorandum of Understanding (MoU) to assist in the development of monitoring and optimization tools. “Our input will help ensure that operational visibility will be maximized, and that the new ships can operate at optimal efficiency,” said Giannis Moraitakis, E&A Business & Sales Development Manager, Wärtsilä Marine Solutions. The vessel design will enable compliance with all known, applicable, and anticipated regulations proposed by the International Maritime Organization (IMO), including the Energy Efficiency Design Index 2025, SOx post 2020, and NOx Tier III without any after treatment. Wärtsilä is also a part of the project. 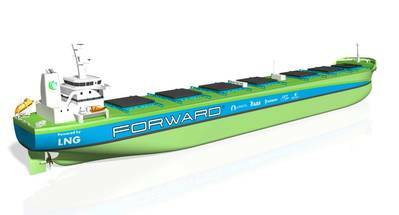 The propulsion design concept is to be based on a novel arrangement featuring just two efficient Wärtsilä 31DF dual-fuel engines without additional gensets. Other parties involved include Finnish ship designer Deltamarin, the Houston-based classification society American Bureau of Shipping (ABS), and GTT, the French LNG membrane containment system designer. Arista has signed a Letter of Intent with Yangzijiang Shipbuilding (YZJ) to build a series of up to 20 vessels to the new design.